The research project I am working on might be one I designed and that will (hopefully) result in me getting a PhD degree, but I could never succeed in this without the help of many other people. 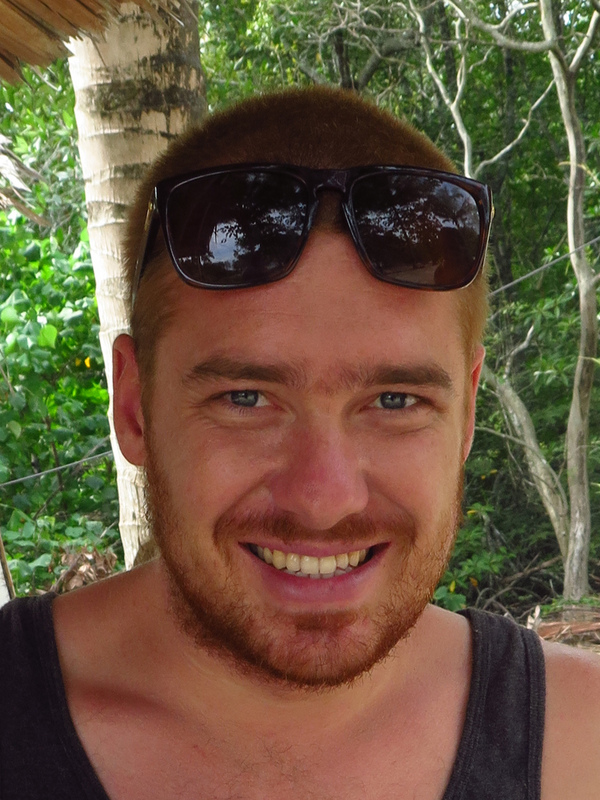 I have got three supervisors in Australia, local counterparts here in Indonesia, connections in the dive world, friends and family who provide moral support,… And then there’s my trusty science hobbit, Luke. As much as everyone else has supported me and helped out so far, I could not have achieved a fraction of what I have in Indonesia without Luke’s help. So I am using this blog to thank him and to tell his story (and to shamelessly promote his awesome photography work while I’m at it). 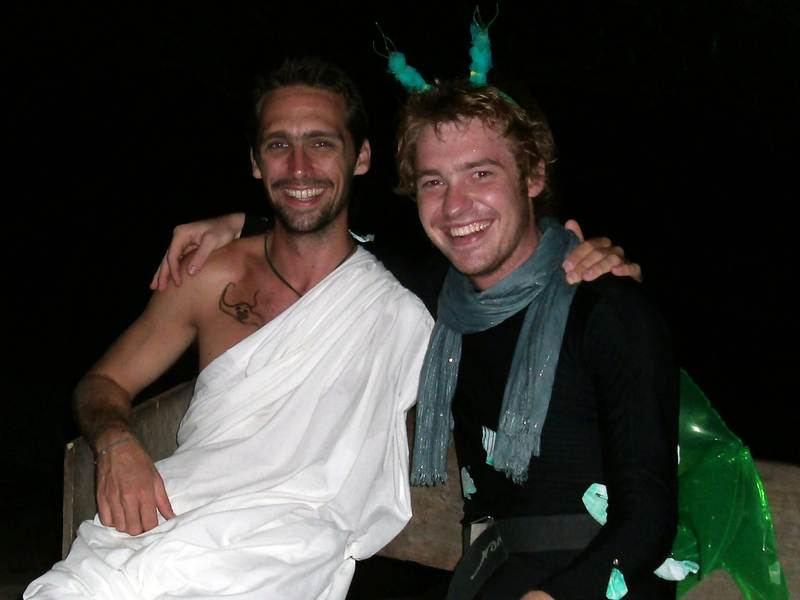 Luke and I met in 2011 where we were both working for Coral Cay Conservation in Napantao, Philippines. He was one of the two science officers, while I was responsible for making sure everyone was diving safely. Luke and Jen (the other science officer) were amicable kown as science hobbits, a title that I have kept on using ever since. We shared a room for months, so we got to know each other very well. Besides sharing a passion for nudibranchs and by extension any other ocean critter, it turned out we also make great dive buddies. So who is this science hobbit really? I can tell you that he is not only a great diver, he is also one of the most knowledgeable field marine biologists I have ever met. You need coral identified? Ask Luke. Not sure what fish it is? Ask Luke. Need to know more about coral nurseries? Ask Luke. Want to build a coral reef aquarium, do fish surveys, know more about conservation, diving in Fiji, Madagascar or Philippines? Luke’s your man! 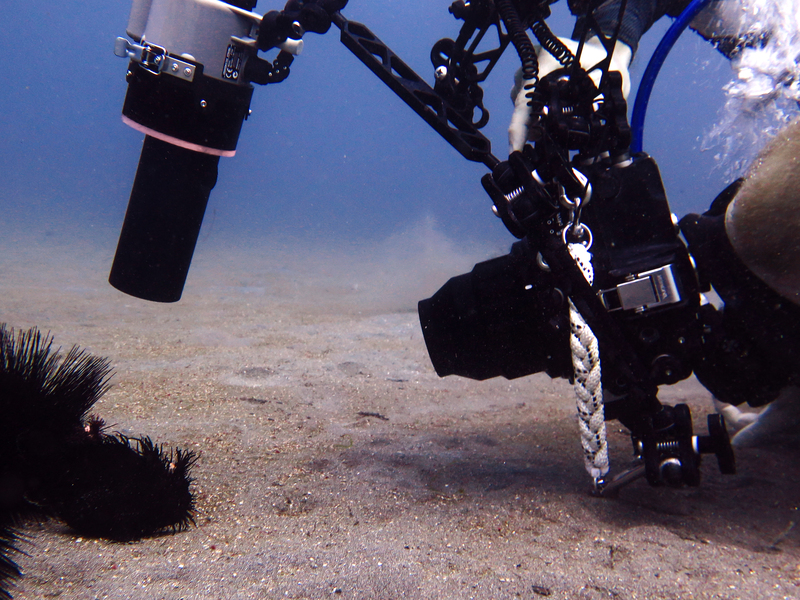 I even have to admit that he might be better at spotting baby frogfish than I am. On top of all that, he is also genuinely a nice guy who is great fun to work with. All of this is probably why he has been asked to work with so many NGOs and researchers in places like Fiji, Philippines, Maldives, Madagascar, Ecuador, Indonesia,… It is definitely the reason why I asked him to come and help me in Indonesia for the past 3 months. To add to those skills, he is also not half bad as a photographer. When I say not half bad, I mean pretty bloody amazing! Most of the pictures on this blog are his work, so go back, read through some of the posts and have a look at the pictures. Even better, check out his website or facebook page. You can even order prints of his pictures as well, so check it out! On the site you can order prints of some of his best shots. At the moment Luke is giving 50% off prints for the first 20 prints ordered, just use the code FROGFISH when ordering your prints. If anyone is still looking for Christmas or birthday present ideas for ocean lovers, it’s your chance to get a good deal. Unfortunately I had to say goodbye to one of my best friends and greatest colleagues ever. He has been whisked away to Australia by his girlfriend to go and explore that part of the world. In all fairness to Katie, she did let me use him for a good 3 months, significantly postponing their Australia plans. Besides that, she is just as amazing a person as Luke is, so I am wishing both of them all the best on their new adventures. I sincerely hope they have the best of times together and that they get all the good luck they both deserve. Once again a massive thank you Mr. Luke, hoping our next dive together will be sooner rather than later! There hasn’t been much activity on the blog recently, mostly since I’ve been stowed away on various boats exploring the marine life around the Komodo Islands. I just got back from a very comfortable liveaboard trip ran by Safari Bali, who have been kind enough to let me hop on the Sea Safari 7 as resident marine biologist. In return for the trip I do presentations for the guests, help them identify creatures they’ve seen, or generally answer any ocean-related question they might have. A great deal if you ask me, since it gives me the chance to do research in one of the best dive destinations in the world. Komodo has been one of my favourite spots since I dived it the first time six years ago. The enormous diversity in marine life and dive sites is hard to find anywhere else. Raja Ampat might have more species, but to me Komodo is more interesting. There are more muck sites, stronger currents, lots of weird critters and they’ve got dragons…it’s hard to top dragons. Komodo national park was established in 1980 and was declared a World Heritage Site in 1986. The park was originally designed to protect the endemic Komodo Dragons. 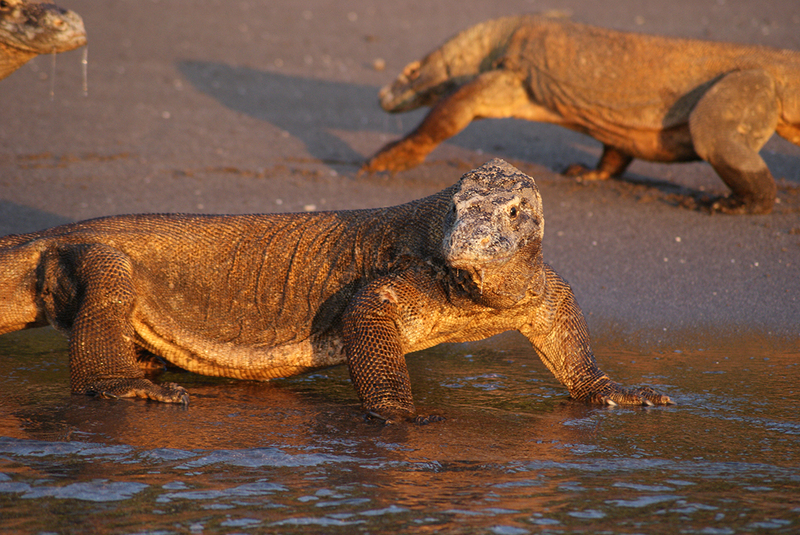 They are the world’s largest reptile and are only found in the Komodo National Park and a few areas on the west coast of Flores. It was quickly recognised that the diversity in the surrounding ocean was a lot bigger than on land and protection was put in place for the marine environment as well. Life under water is governed by the strong currents around the islands. The Komodo islands form a passage between the Pacific and Indian Ocean, the water flowing between them causes the famous currents in the area. 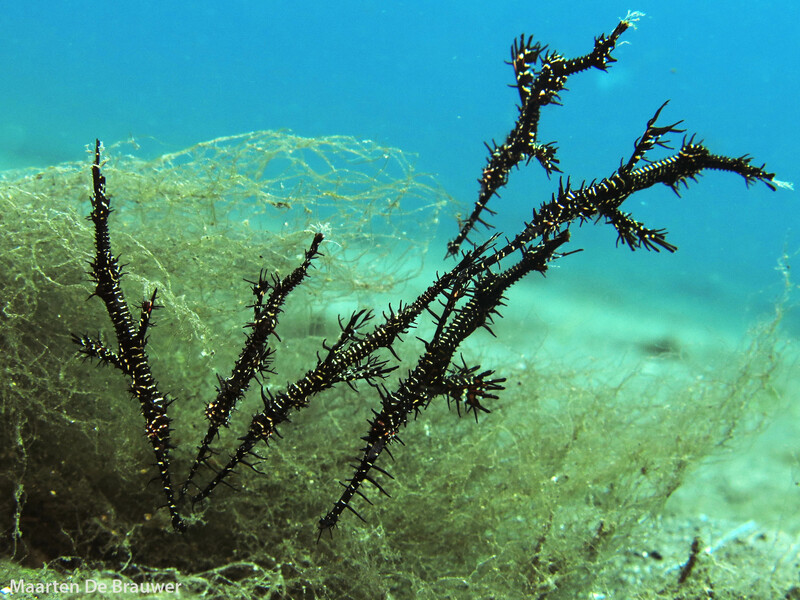 These currents bring in important nutrients on which the marine life depends and it doesn’t take many dives in the area before you realise just how much of an effect they have. Diving in Komodo is always exciting, not just because you’re often flying around under water at exhilarating speeds, but also because of the enormous diversity of life that is created by these currents. Explaining just how diverse and exciting diving in Komodo is very difficult. To make life easier for myself, here is an excerpt from my logbook from the trip: manta rays, sharks, eagle rays, frogfishes, octopuses, turtles, napoleon wrasses, seahorses, ghostpipefishes, giant trevallies,… On top of that reefs are generally very healthy, with huge clouds of reef fish hovering around them. From the boat we’ve seen at least 3 different species of dolphins and a whale. In this crazy fish soup I spent most of my time looking for pygmy seahorses, which greatly confused some of the other divers on board. 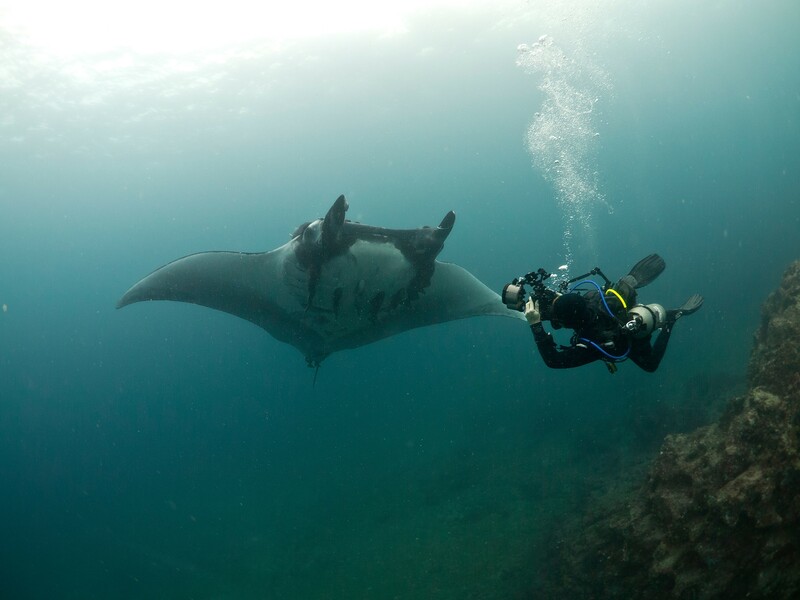 Why bother with critters 1cm in size if you’ve got manta rays and sharks flying overhead? 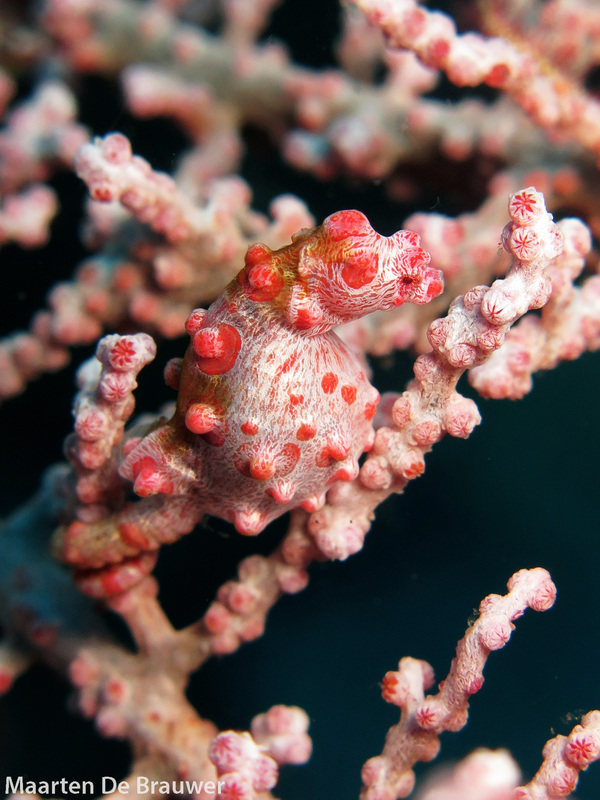 This is a fair point, but I am trying to get an idea of how many pygmy seahorse are out there, so the manta rays will have to wait… In all fairness, I might have gotten distracted a few times, but who can blame me for that? I am also using these trips to explore other sites in the area for critters. 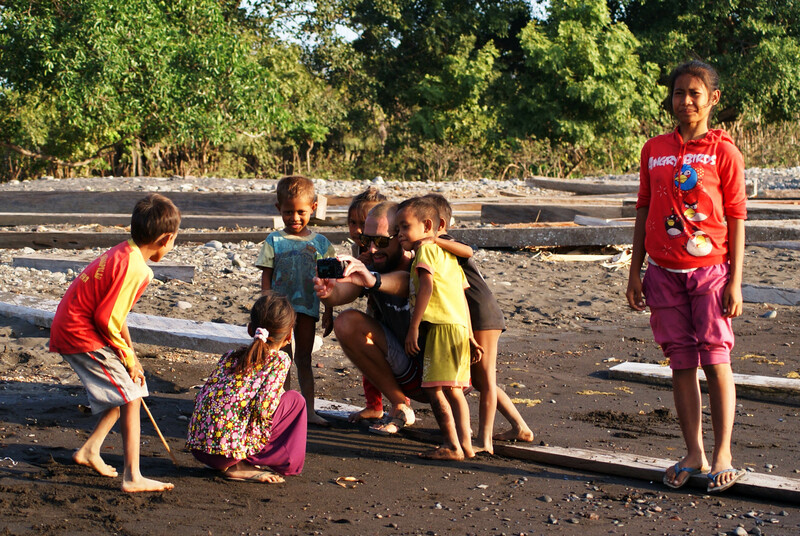 There are over 17000 islands in Indonesia and the best way to explore them is by boat. Some of the places we dived at along the way are absolutely beautiful and still pretty unexplored. 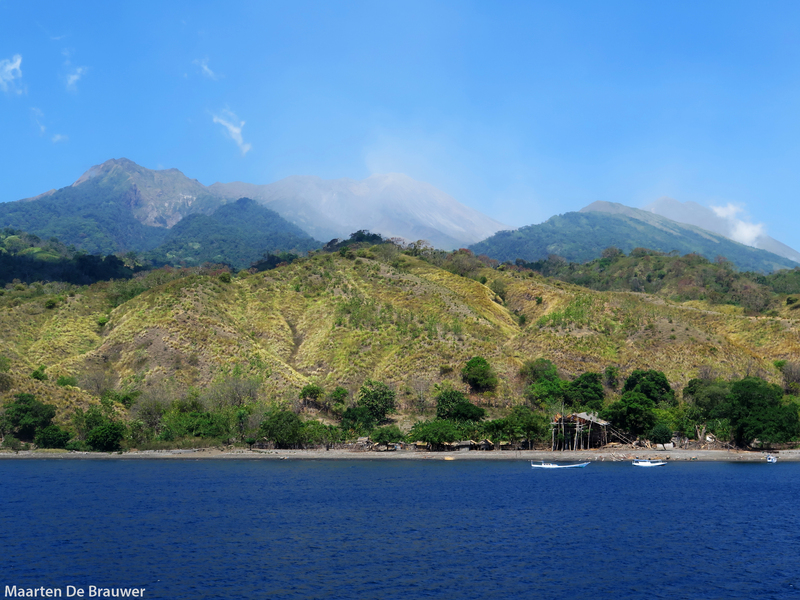 One of my favourites was Sangeang, an active complex volcano (it has 2 cones) with 2 small villages on its slopes that specialise in traditional boat building. The dive sites around Sangeang are phenomenal; great muck diving, loads of critters, and mostly unexplored. Another gem (though better known) is the south of Komodo. The waters around Nusa Kode are cold (20°C) but very rich, it had some of the highest concentrations of anemonefishes I’ve seen in Asia. A night dive in the bay made it in my top 3 of best night dives ever, I won’t bore you with details, but if you like weird and wonderful critters it’s an absolute must!